A well-organised warehouse utilizes available space to its maximum capacity and promotes greater overall efficiency. Managers can work toward this by considering the use of pallet storage systems like storage cages and adopting drive-in vertical solutions. Warehouse storage density can be increased with the installation of drive-in systems. This is especially beneficial for large-scale industrial companies requiring the storage of heavy capacity equipment. Workplace efficiency will improve if tools and equipment are properly stored. Drive-in racking systems are supported with anchor bolts, rail protectors and cross bracing. The durability of frames, rails, foot plates, and support beams facilitate the efficiency and ease of pallet racking. High-quality forklifts are used to slide the products in during day-to-day operations. Products are stored with a last in, first out method. Each system is inspected and maintained prior to being stacked. Scalable storage pallets can provide several advantages. For instance, delicate goods and cold storage products can be stored in these types of shelves. Warehouse managers can also employ the use of pallet racking and storage cages to maximise space and promote greater organisation. They are cost-effective ways to fulfil high-density storage requirements. A single storage system solution for meeting all warehouse needs does not exist. Managers should consider there are many designs and options available for each given warehouse. Suitability will depend on life power, storage capacity, and carton size. A pallet racking system comes with improvements for cargo load and software. A drive-in system can be computerised to improve productivity and efficiency for the entire warehouse. For instance, stacker cranes can be employed to lift trolleys onto a loading platform. Computers can be tasked to handle pallet removal and deposit processes. This means human intervention is no longer required for all stages of the operation. Automated systems speed up installation and storage without damaging products. Warehouse design needs to account for the integration of a pallet racking system as shelves will have to be housed within the structure. Pallet racking does not result in a dip of quality and functionality and promotes time and cost efficiency. In addition, all stocks, shelves, and supporting components in the system are fully protected and reinforced. They can withstand the heavy loads and pressures involved in daily activities and resist weather conditions and elements like snow, wind, sunlight and rainfall. 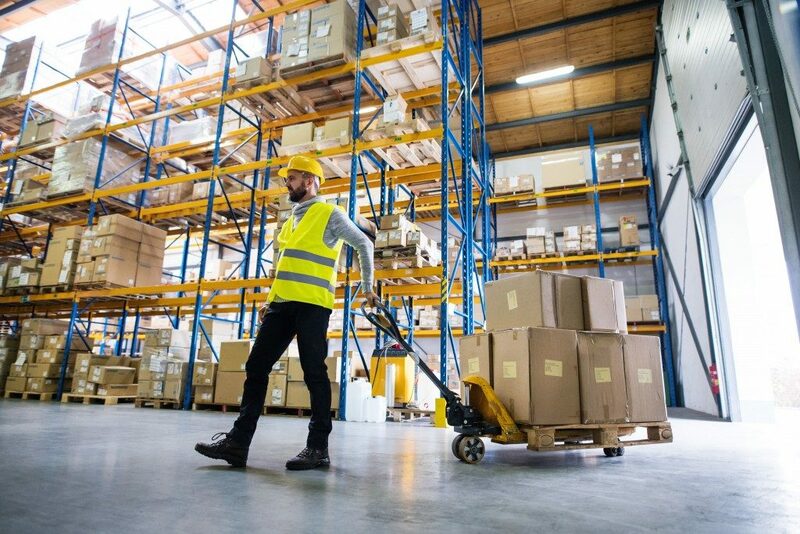 The capacity and ability to store large quantities of goods in a warehouse will depend on the machines and equipment themselves, as well as on innovative storage systems. Inefficient techniques can waste time and money. Pallet racking systems involve the use of automated movements and computers to ensure operations undergo maximum efficiency. Software and system type should still depend on what is most compatible and relevant for a specific business. Advanced software can provide greater optimisation and reduce costs related to storage, packing and transportation. Pallet systems can serve as long-term storage units for warehouses to reduce safety issues and increase storage space and efficiency. How’s Your Company’s Supply Chain Management?